Due to a lack of demand, Ford has announced it will remove all sedans from its product line-up for the North American market. This was revealed in the company’s first quarter financial results, where the Blue Oval secured a net income of USD1.7 billion in the first three months of 2018. 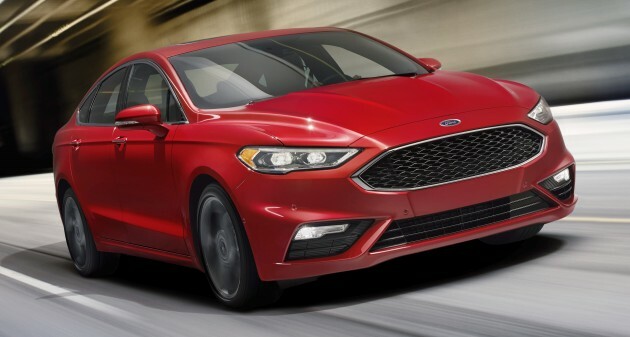 In the release, the company stated, “given declining consumer demand and product profitability, the company will not invest in next generations of traditional Ford sedans for North America.” This will see models such as the Fiesta, Fusion and Taurus slowly be phased out over the coming years. Ford also has plans to offer hybrid powertrains to vehicles like the F-150, Mustang, Explorer, Escape and Bronco over the next few years. Its first battery electric vehicle (BEV) will arrive in 2020, and by 2022, 16 BEVs will come to market. “We are committed to taking the appropriate actions to drive profitable growth and maximize the returns of our business over the long term. Where we can raise the returns of underperforming parts of our business by making them more fit, we will. If appropriate returns are not on the horizon, we will shift that capital to where we can play and win,” said Jim Hackett, president and CEO of Ford. Looks like the death of sedans is invitable. All hail the SUV. Maybe wrong, but China’s “strategy” for a level-paying field for ownership in the auto sector in 2022 especially foreign ownership is to encourage competition and the loser, in my opinion, will be American cars. Well thats maybe a good business plan, after carefully study in a certain market , ford decides to abandon sedan models lineup. Not like our proton, just blindly produces models which will not be profitable or no sale at all. But dare to dream big. Malaysians only need practical n fuel efficient car that priced around rm50k below. Just look at perodua. Example a good company with a proper study and business strategy. In the release, the company stated, “given declining consumer demand and product profitability, the company will not invest in next generations of traditional Disney Channel’s live-action shows for Southeast Asia.” This will see models such as Bizaardvark, Bug Juice My Adventures at Camp, Coop & Cami Ask the World, Andi Mack, Bunk’d, Fast Layne, Raven’s Home and Sydney to the Max slowly be dropped out in Asia and Malaysia feeds on Disney Channel in the next several years.